Lockout/Tagout is a great procedure to enable safer machine interventions by isolating the energy supply for machinery that is being serviced. 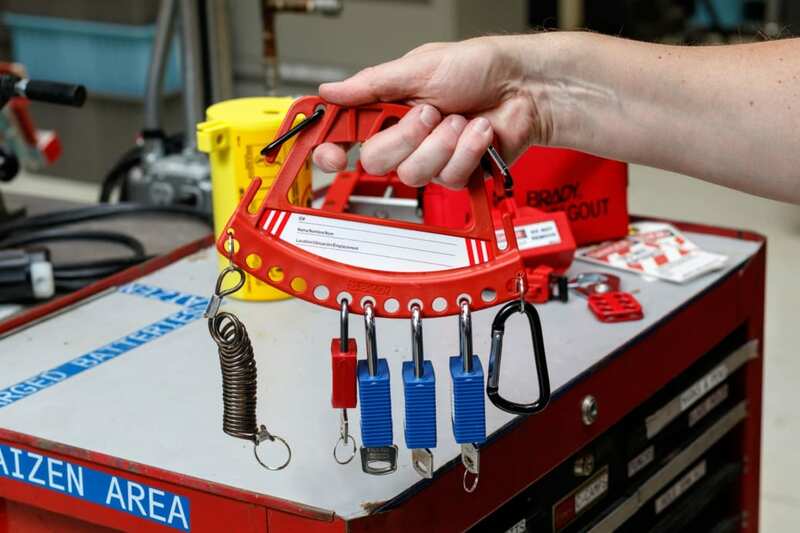 Brady Corporation launches a new and highly practical Safety Lock & Tag Carrier that enables users to keep Lockout/Tagout padlocks and tags close at hand, and to quickly isolate energy points when needed.Improve Lockout/Tagout efficiency. The new Safety Lock & Tag Carrier can hold up to 12 safety padlocks and keys, as well as lockout hasps and procedure tags. It is available in 4 colours and offers a convenient and organised way to transport and store Lockout/Tagout tools, and to avoid misplacing locks and hasps. The Safety Lock & Tag Carrier also helps improve workplace safety by enabling co-workers to keep the necessary devices on hand to quickly isolate energy control points before servicing machinery. The Safety Lock & Tag Carrier has a unique and highly practical design. A single carrier can hold up to 12 padlocks and includes a key strap and a carabiner to carry keys and lockout hasps. 2 lock & tag carriers from Brady can easily be held back to back to quickly double the amount of locks that can be carried comfortably in one hand. The design also enables users to clip one or more carriers on their belt, or to mount them on a wall for lockout tool storage. Brady offers complete Lockout/Tagout solutions, including lockout devices to lock any energy control point, energy control point site surveys, best practice Lockout/Tagout procedure writing, software to manage, visualise and print procedures, a wide range of durable padlocks and Lockout/Tagout accessories including shadowboards, hasps, lockboxes and the Safety Lock & Tag Carrier. 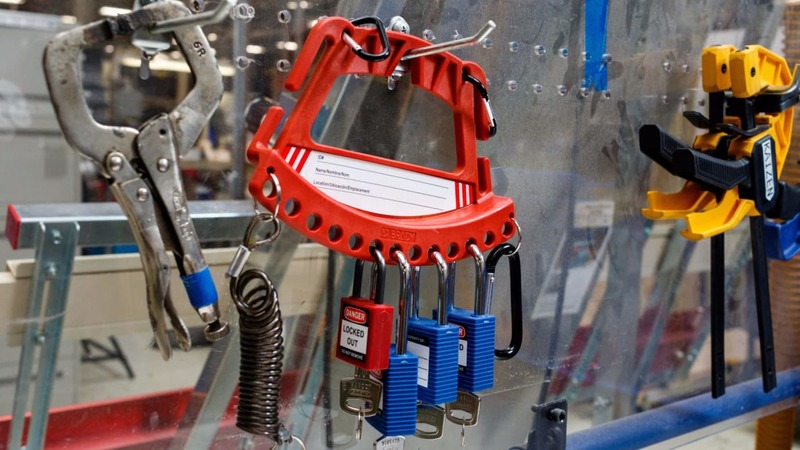 When implemented well, the Lockout/Tagout procedure and tools enable safer machine interventions by completely isolating machinery from its energy sources. Contact Brady via emea_request@bradycorp.com for more information.